Our boys' and girls' Regional All-Academic Team candidates should be nominated by their high school coach and will be sent to Kristen McDonnell for review. 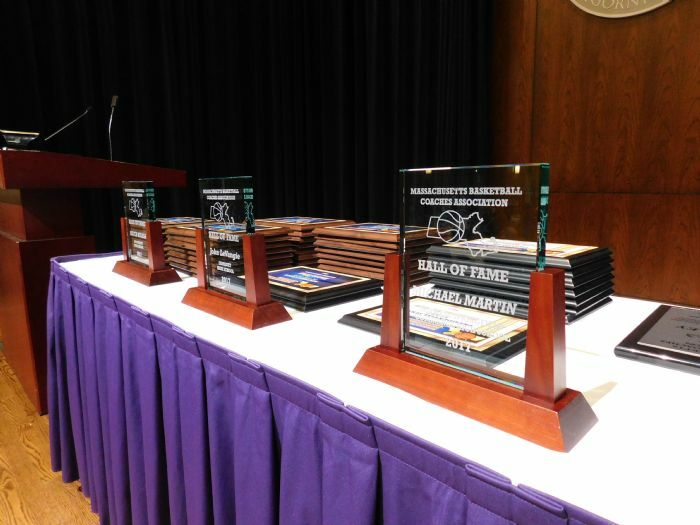 Our Hall of Fame candidates can be nominated by a sponsor who believes a coach is deserving of induction into the Massachusetts Basketball Coaches Association Hall of Fame. Our All-Sectional boys' and girls' basketball teams will be chosen by a regional selection committee designated by the MBCA Executive Board. The Regional Players of the Year will be selected from candidates for the All-Sectional teams. Our boys' and girls’ Regional Players of the Year candidates can be nominated by their high school coach. Regional Players of the Year candidates will also be nominated for the All-Sectional teams that will be chosen by a regional selection committee designated by the MBCA Executive Board. Our Coach of the Year candidates can be nominated by a sponsor who believes a head coach or assistant coach is deserving of recognition for their team's performance from the previous season.